You’d think that with the variety of options available for streaming music today, music discovery would be better than ever. 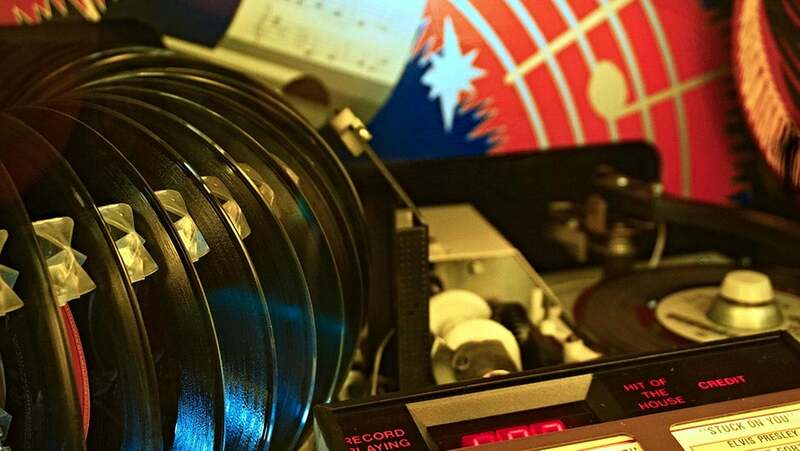 The truth is that we audiophiles still trust our peers over a fancy algorithm. We might get by with Pandora’s free, personalized radio and we might try to follow each other’s Spotify finds, but we really miss turntable.fm. That’s why NYC entrepreneur Jason Zigelbaum built JQBX. 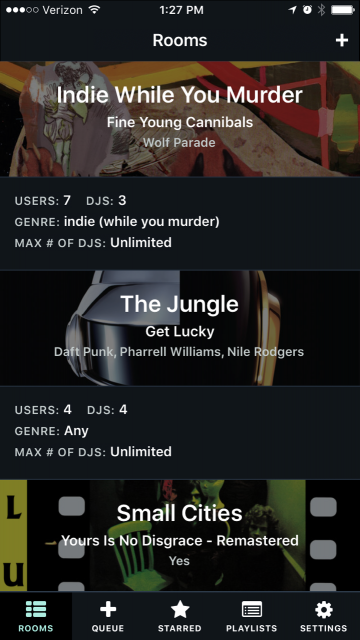 JQBX (pronounced “jukebox”) is a social music app for Web, Mac, and iOS. Just like with turntable.fm, you can step up to DJ in order to share tracks with friends, join different rooms, vote on tracks, or simply listen to a dynamic stream of music all day. I talked with Zigelbaum about JQBX and how that steady feed of music can be the key to productivity for a lot of us. What prompted you to build JQBX? Jason: I built JQBX because it was proving near impossible to pick 8 hours of quality music during my typical work day. I listen to music to keep focused, but when you have to constantly pick it or make a new playlist it becomes a distraction. I used to be a big fan of turntable.fm before it shut down because it helped me discover new music as well as provide a high quality stream of songs without any intervention needed on my end. And, it makes more sense to use JQBX when you’re with or near your friends. For example, taking a car ride with a few folks? No need to pass the aux, use JQBX. This works the same if you are in an office with multiple people and tired of having to use headphones to listen to tunes. What happened to turntable.fm, and why is there still a space for JQBX to thrive? Jason: Music rights are a tough business and its players have deep roots. Getting legal rights to stream music is extremely complex and expensive. I don’t know for sure, but I suspect one of the main issues plaguing turntable was getting the law on their side. JQBX utilizes Spotify’s music library so we skip all of the legal noise and can focus purely on making an awesome product that extends an already awesome music streaming service. This allows us to keep our costs much lower while at the same time letting us focus on building the best product. Ultimately I think this is the difference in what will make us successful. Zigelbaum built and launched JQBX as a passion project, and he says he’s been supported by the user community as he continues to grow and build the product. But it hasn’t been easy – he says he definitely learned the lesson that every startup founder has to discover. Where do you hope to take the product now that it’s live? Jason: Next steps are to get some people in the music industry and Spotify involved for unique JQBX events. Things like album listening parties or special musician DJ sets. I think JQBX provides a great opportunity for artists and fans alike since you get the opportunity to engage with the community or artist in real time. You mentioned JQBX can be used for more than just music such as favorite comedy sets and audio books. Jason: I didn’t originally think of that as a use case but it totally works. I was super excited when I saw both of those use cases because it reminded me how incredibly vast the Spotify library is. I’ll definitely be adding features to make those use cases more prominent. Although Zigelbaum hasn’t raised any funding, and started JQBX as a passion project with the initial support of the community, he’s committed to seeing how far the product can go.